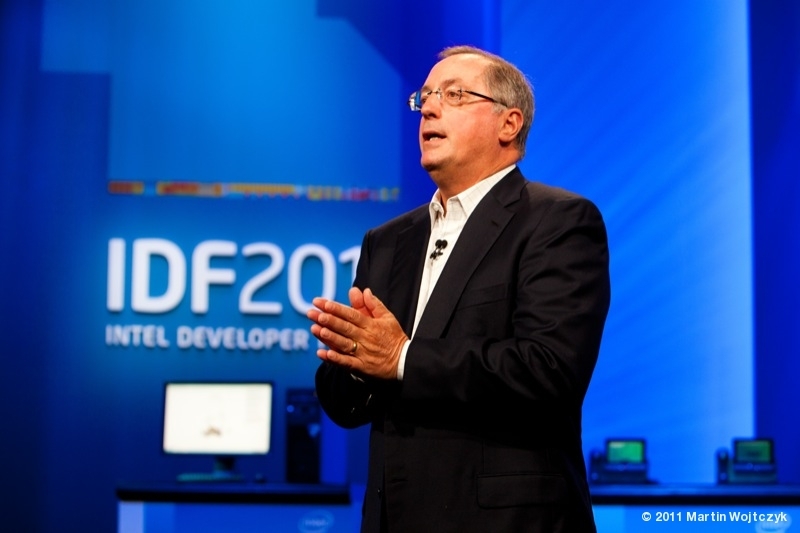 At today’s keynote of the Intel Developer Forum 2011, Intel CEO Paul Otellini presents Intel’s vision about the future of computing. 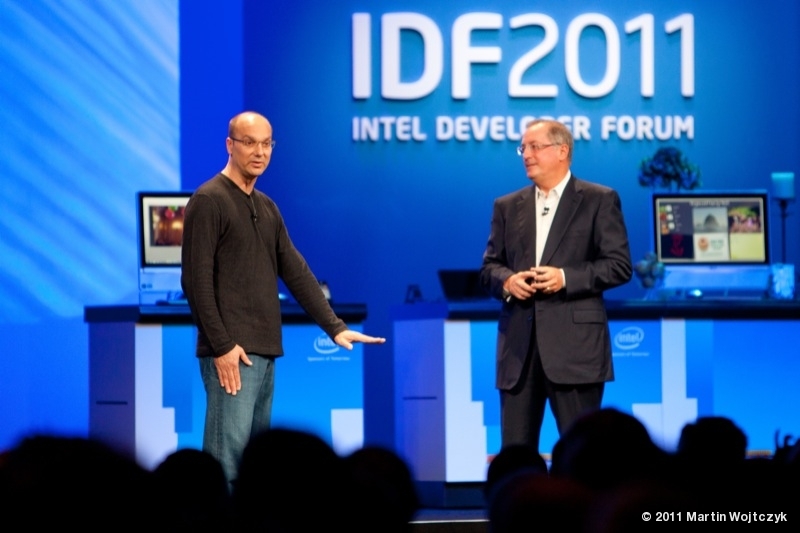 It came by surprise to see Google’s Senior Vice President of Mobile Andy Rubin get on stage during the keynote. 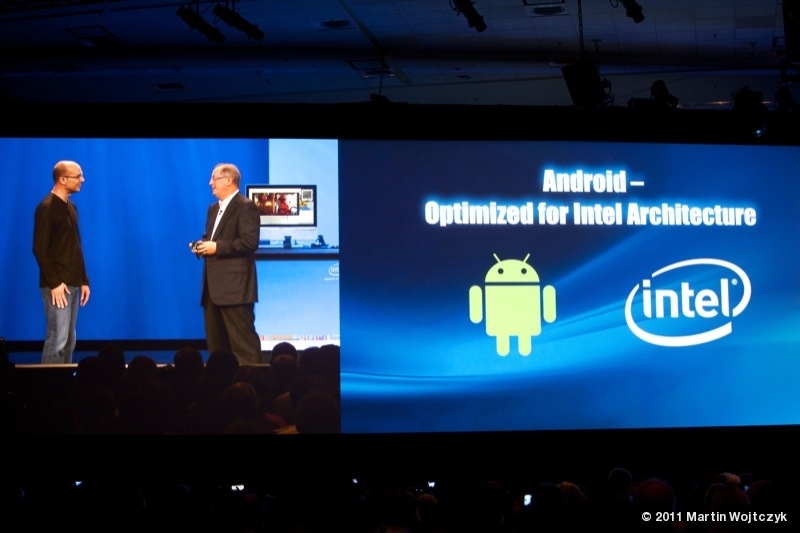 Paul Otellini and Andy Rubin announced a strategic partnership between Google and Intel for delivering x86 phones and tablets running Android. 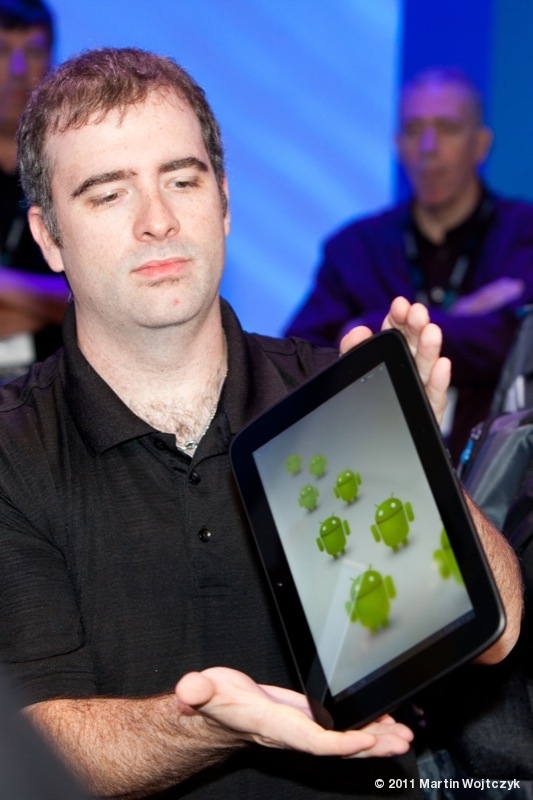 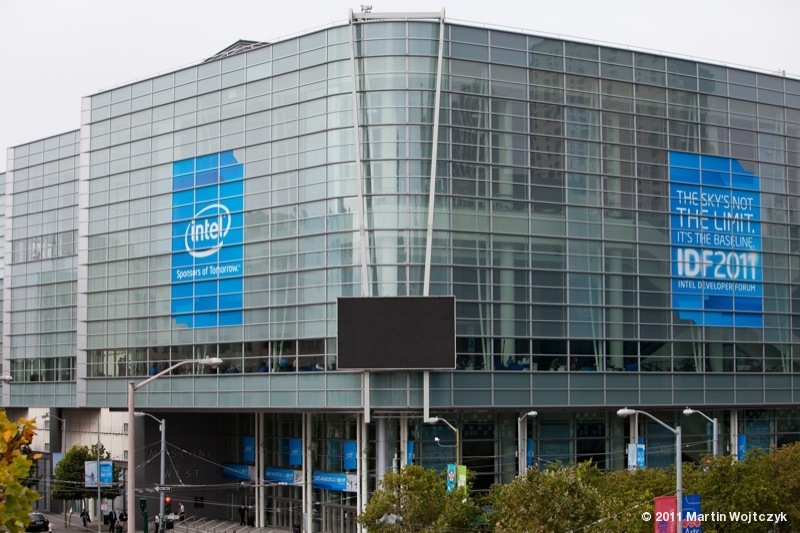 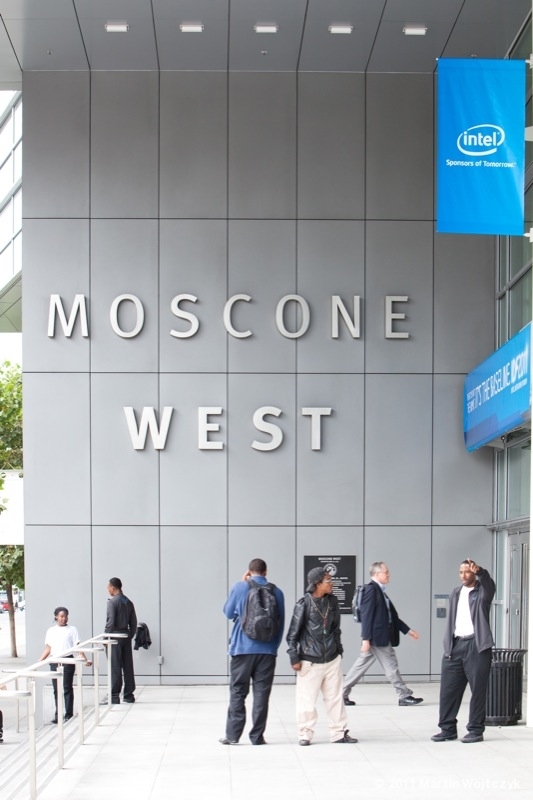 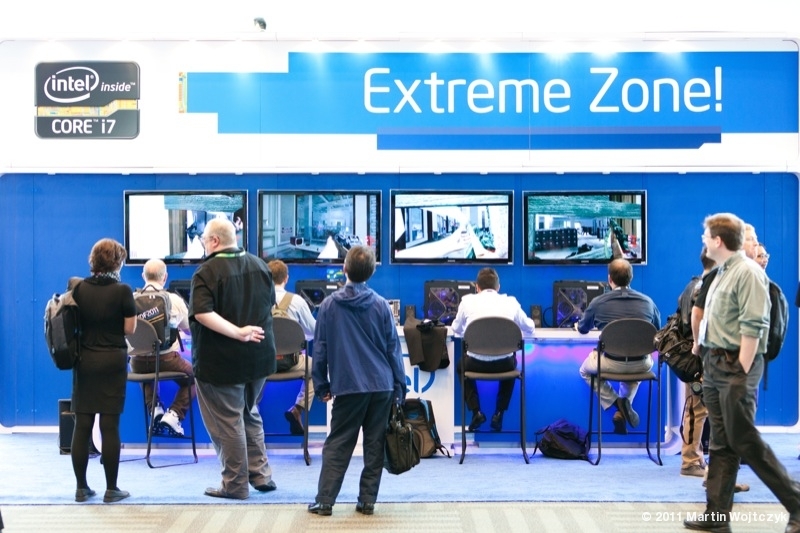 So that raises the question: what is going to happen to Intel’s own Linux platform for tablets and phones MeeGo? 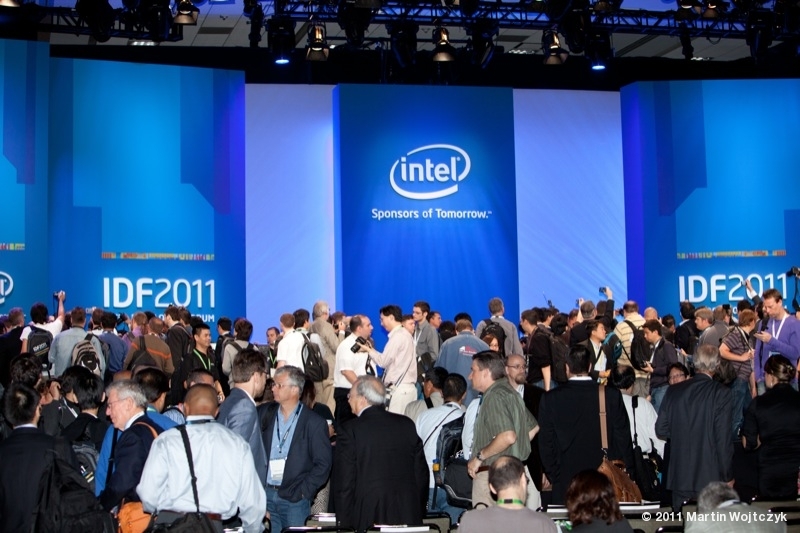 Paul Ottelini reassured the audience, that Intel will keep the collaboration with industrial partners utilising MeeGo on embedded devices. 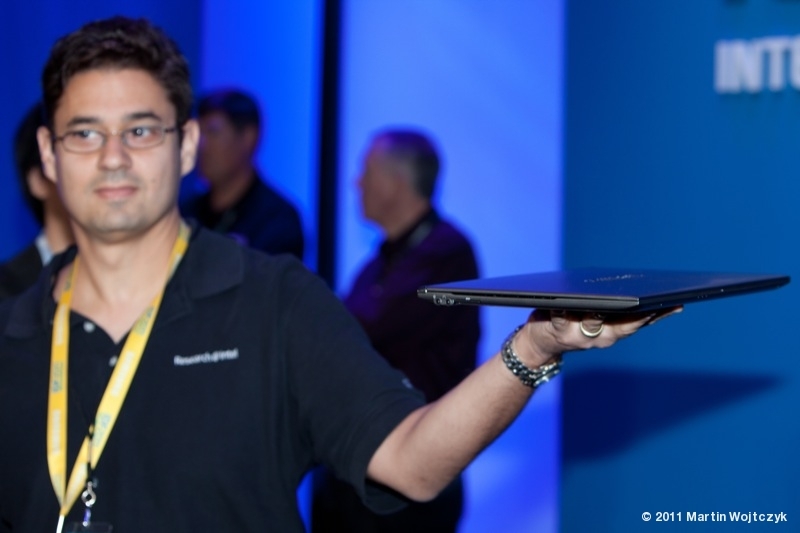 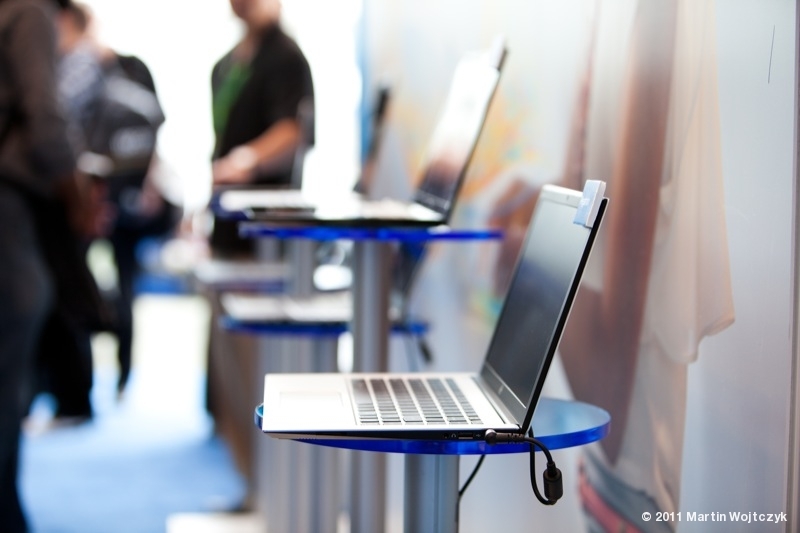 Furthermore for laptops the trend goes towards Ultrabooks says Paul Otellini. 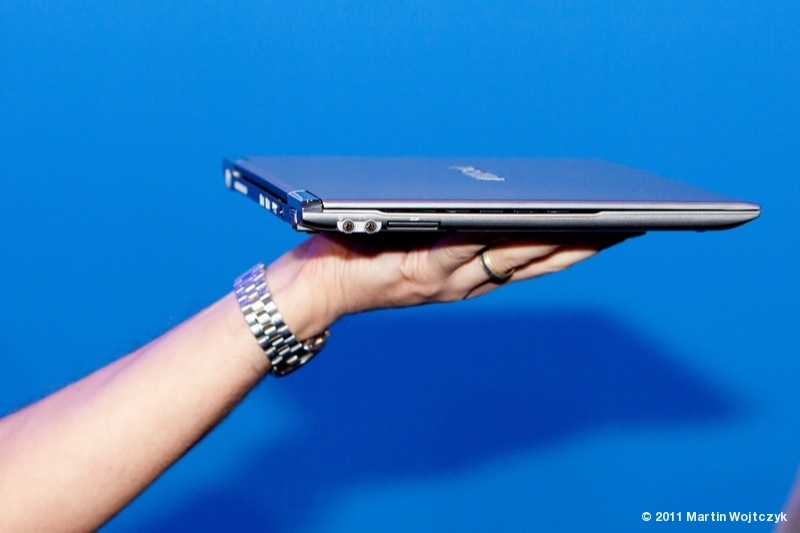 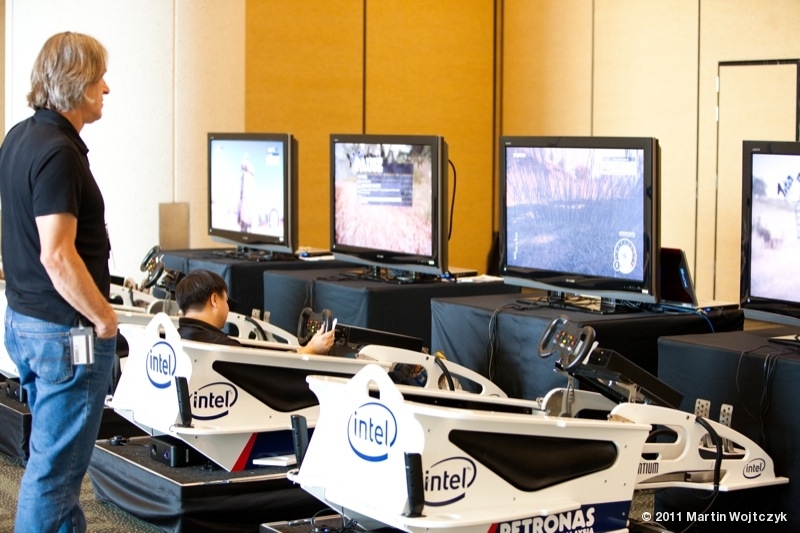 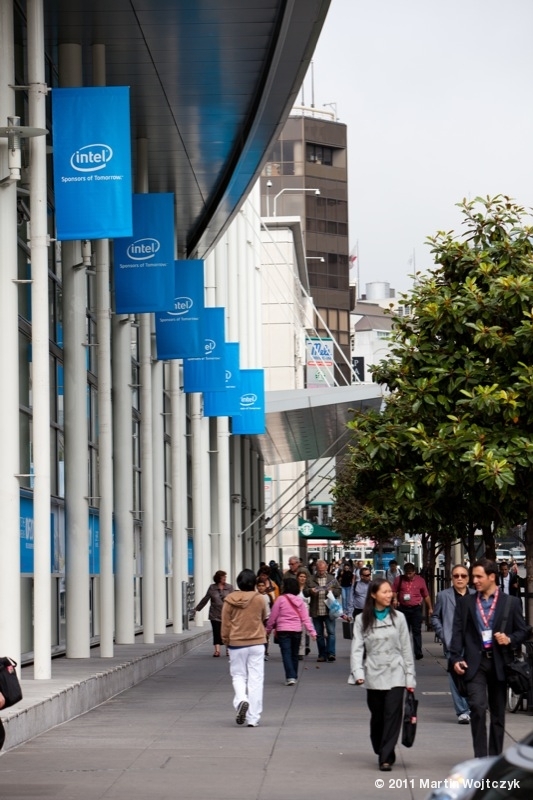 Intel focusses on making them lighter, faster, cheaper, less power consuming and more responsive. 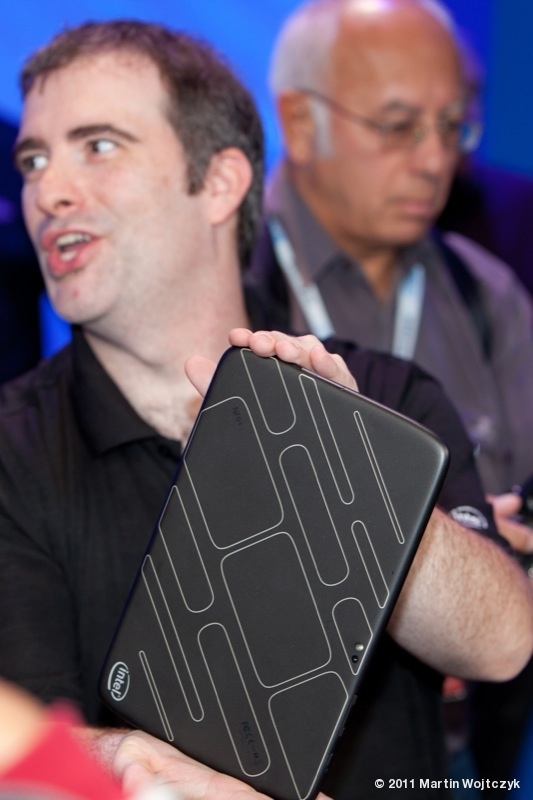 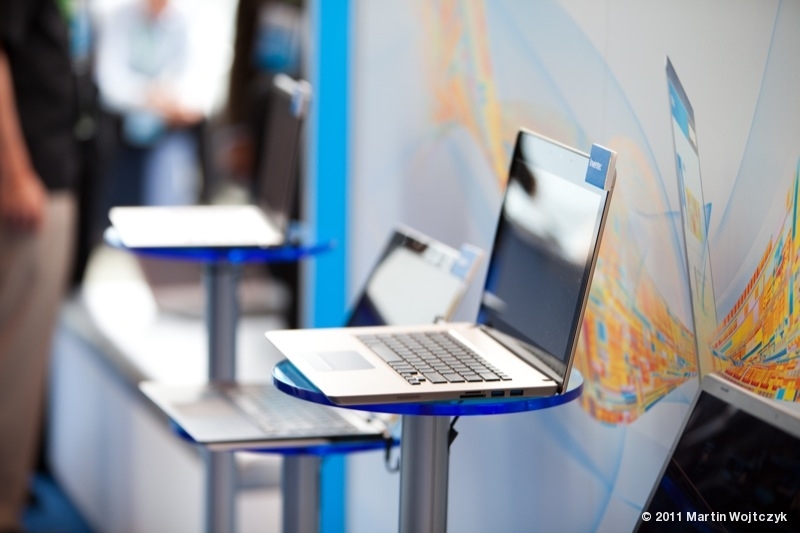 A few Ultrabooks are exhibited on stage. 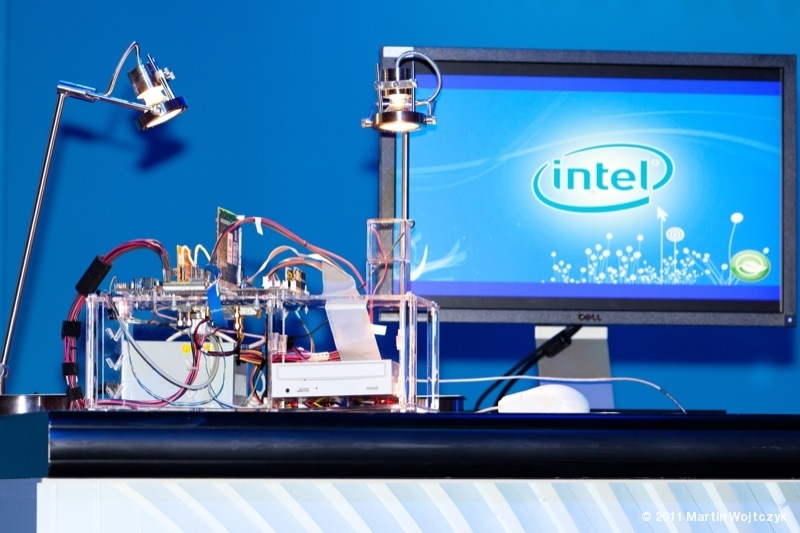 A demo computer shows in which direction mobile computing may go: an ultra low voltage cpu prototype powered by a solar cell and executing Windows. 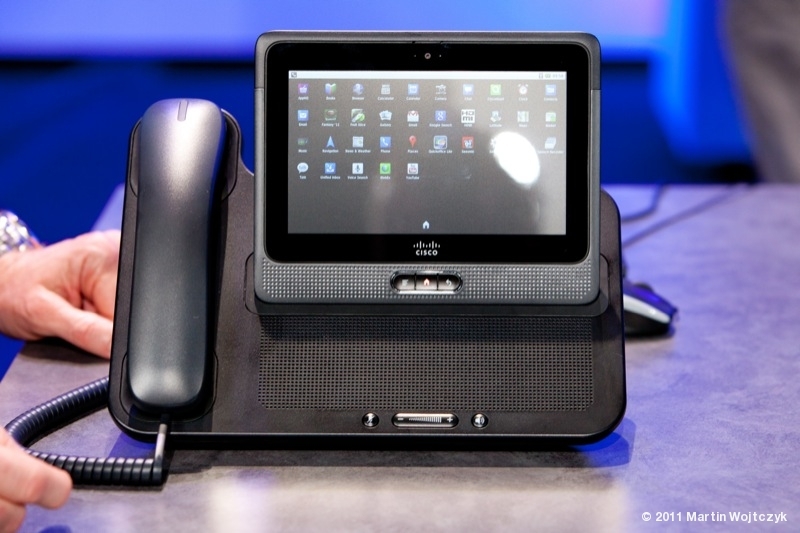 Cisco shows the next generation office phone. 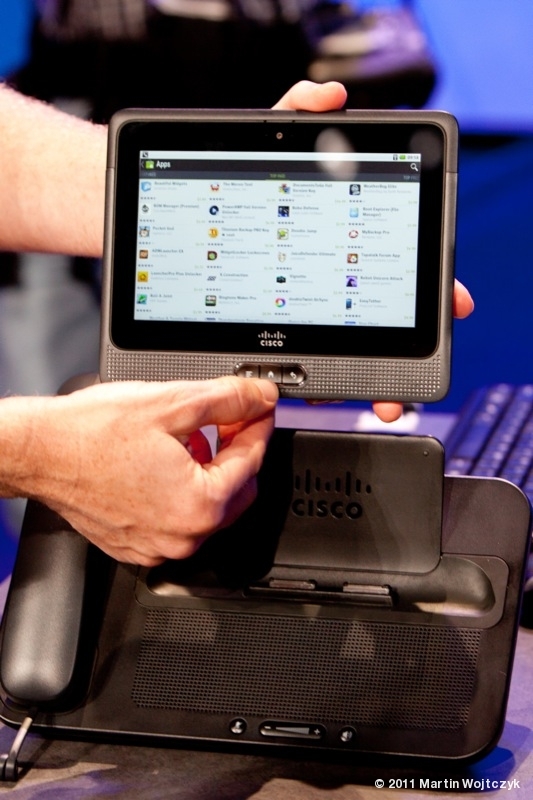 It looks like their current line of IP phones, however it’s color screen is actually a detachable android tablet powered by an atom cpu, I guess. For a seamless collaboration of mobile and stationary gadgets, Paul Otellini presents Intel Pair & Share, which enables phones, tablets, computers and TVs to connect to each other and show notifications and messages on the currently used device. 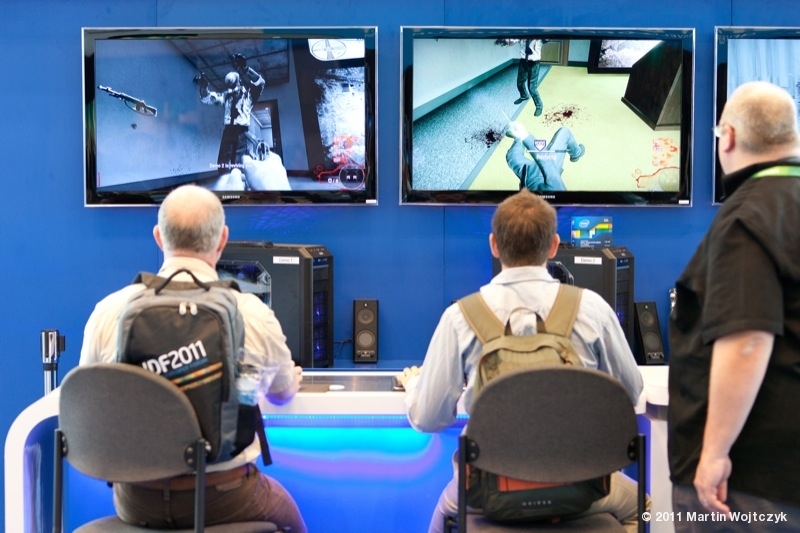 This entry was posted in Conference and tagged IDF, Intel on September 13, 2011 by martin.